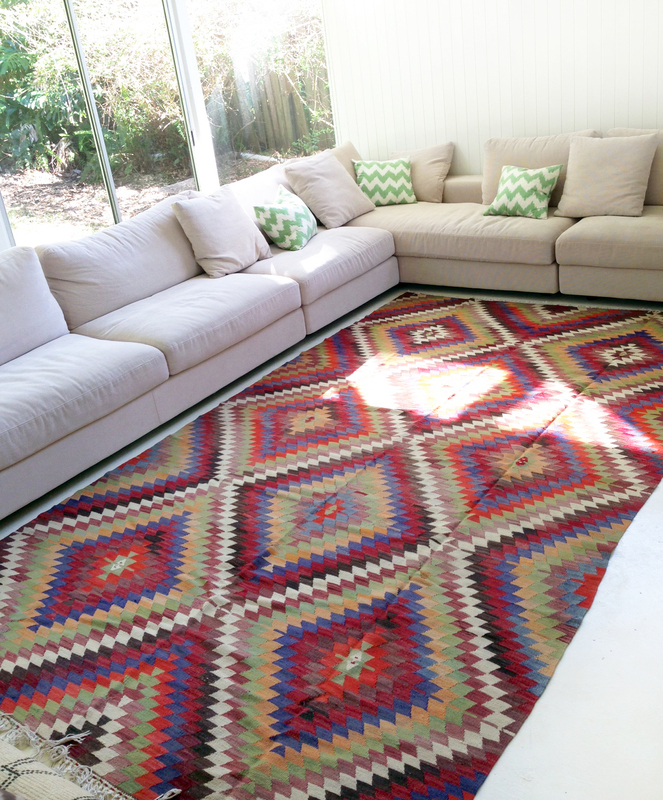 These beautiful vintage Turkish Kilim rugs are pure wool and come professionally cleaned and ready to use. 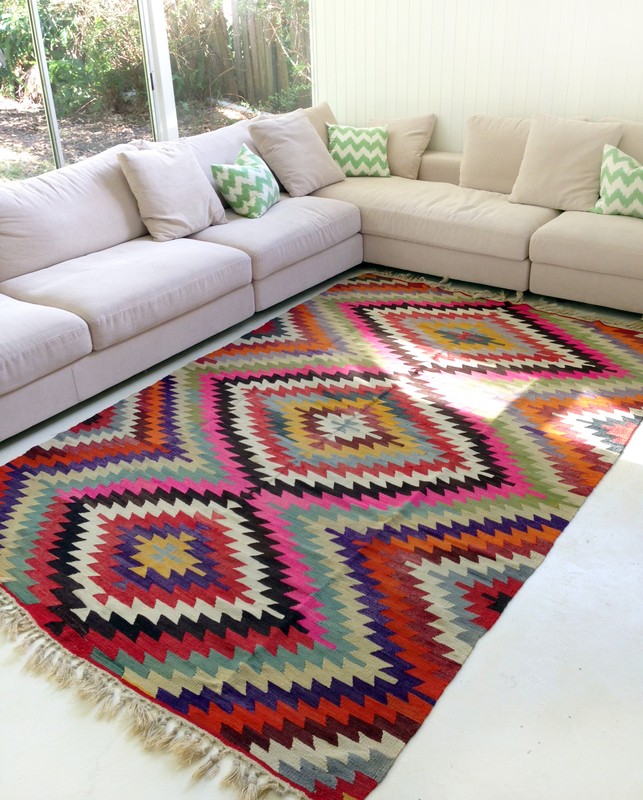 And PS Yes that's our living room, the sofa is from King Furniture (it's the "Jasper") and the green chevron cushions can be purchased here. 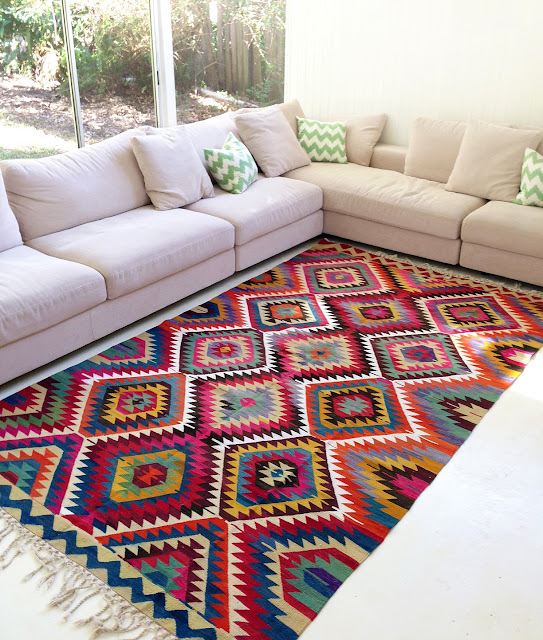 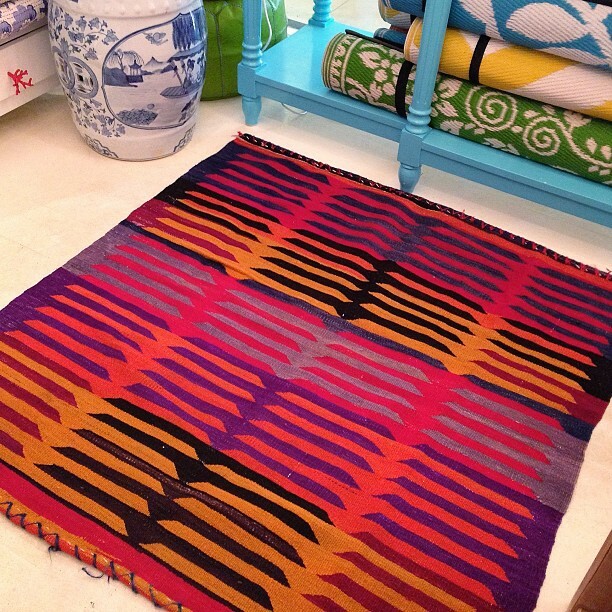 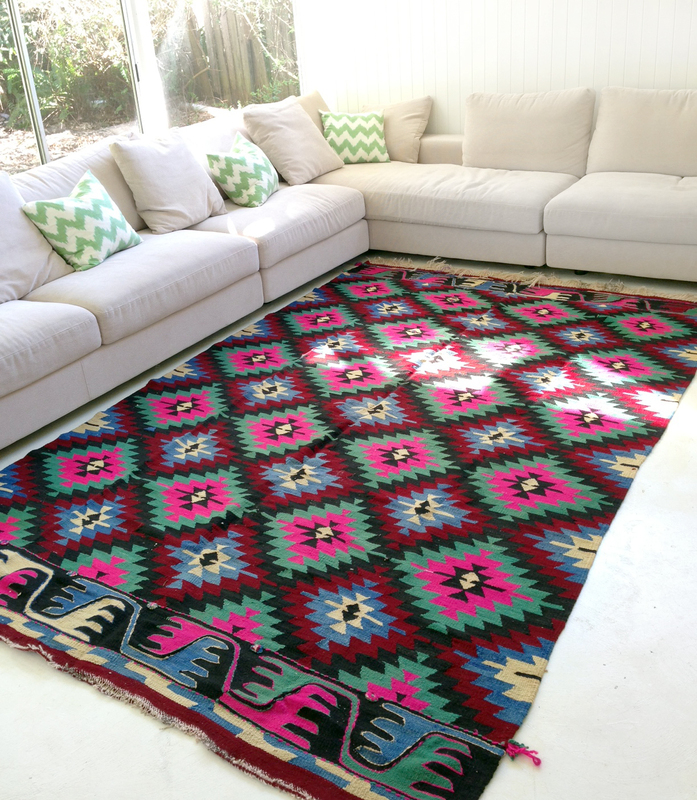 Click HERE to view all TT Turkish Kilim rugs.